Considering going stoveless on a long hike? There are a lot of good reasons to do so. But, if weight savings is your highest priority, you’re doing it for the wrong reason. 1. Without worrying about a stove, a pot, a windscreen, and fuel, you have less stuff to worry about. This simplicity can be very freeing. 2. Less wait (no, not weight). I just mean you can eat right away without having to fire up and heat your food. This is especially nice when you roll into camp late and you are tired. 3. Don’t have to deal with resupplying fuel. Sending fuel in the mail is not straight forward. It has to go “ground only” and must be properly labeled with specific wording. Ordering it online can be difficult for the same reasons. And, finding your type of fuel in a small trail town may be difficult too. 4. Burn bans don’t affect you. 5. No permit required. In California, you are required to have a Fire Permit for operating a stove. It is free, not difficult to obtain, and the requirement is unlikely to be enforced, but it’s one less thing to worry about. 6. When you walk into town, your food setup will weigh nearly nothing. 7. Potentially less bulk. Hydrated foods like bars, tortillas, nut butters, cheese, and nuts are calorically dense and can take up little space. This can be handy when using a bear canister. 8. Nutrition. Many of the non-cook foods are more nutrient dense than the dehydrated foods most thru-hikers eat. 9. Many people make the argument that it is lighter. It can be, but the way a lot of people do it, it is usually about the same or even heavier. For comparison sake, let’s talk about dinners. The other meals of the day between cookers and non-cookers seem to be about the same. The dehydrated dinners I make that pack in 700 calories weigh about 4-5oz. at most. I try to add coconut cream powder, whole milk powder, sour cream powder, dried sausage crumbles, or freeze-dried shredded cheese (some of which have 180 calories/oz.) when I can to increase the calorie to weight ratio. Although most dehydrated meals can also be cold soaked, most non-cook hikers that I have seen are more likely to eat bars, jerky, nut butters, nuts, coconut flakes, M&M’s, trail mix, tuna, and tortillas—most of which contain some water content (read “weight”). To get 700 calories from these types of food, one would need to carry about 6-7 oz. per night. I personally own 4 different cook stoves/kits, so I compared them. For each cook kit, I weighed the burner, the windscreen (if needed), the container to hold the fuel, the cookpot/lid, and the stuff sack. Assuming I want to cook up about 700 calories per dinner, I also figured out the weight of the fuel for each dinner (although conditions can be very variable). It should be noted that there are lighter kits than mine and there are heavier. But, the ones I used for this comparison are definitely on the lighter end of the weight spectrum. *If you would like a breakdown on the components of each kit, feel free to message me. Not many people choose this method anymore due to its finicky-ness, but I want to include it because it has been my method of choice for 7 years now. A few companies make a solid fuel “tablet” that you light under your cook pot to bring water to a boil (or at least to very hot). The advantages of solid fuel include: inability of spillage of fuel, very light weight, and due to the really low intensity of the flame, one can usually get away with a smaller cook pot with no handles. The disadvantages are that it is very sensitive to wind and cold, it takes a long time to heat water, the tablets are hard to find (although, they are easy to ship or carry extra), and there is some odor to the burning tablet (especially Esbit brand). My solid fuel kit weighs 3.6 oz. The fuel needed to heat up a pint of water weighs about ½ oz. per night. 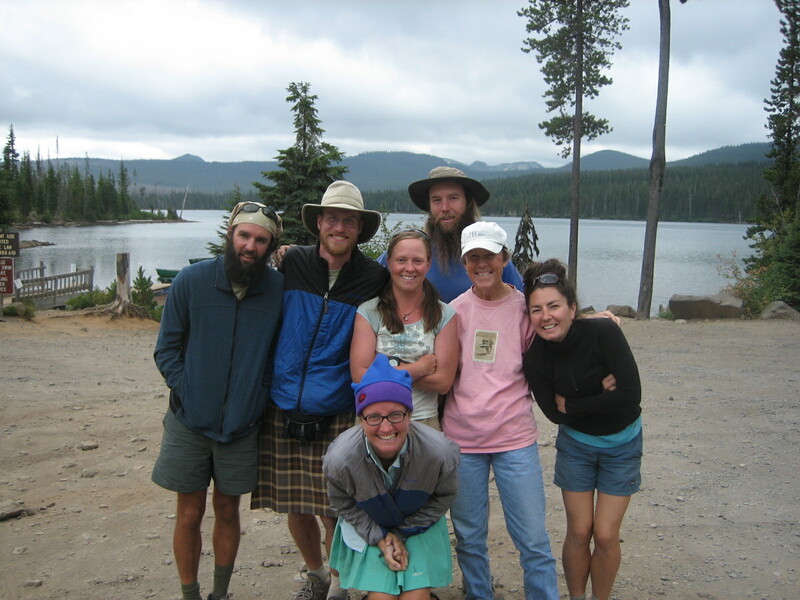 When I hiked the PCT 10 years ago, many people were still cooking with alcohol stoves. Alcohol burns clean, and it is easy to find (in the form of the product HEET) in almost any town with a convenience store. However, alcohol stoves take some practice and they are sensitive to wind and cold temperatures. My alcohol stove kit weighs about 4 oz. and the alcohol weighs about 0.75 oz. to heat a pint of water. Most thru-hikers these days are using canister stoves, probably due in part to an increase in the frequency of burn bans each summer. When a burn ban is in effect, The only stoves allowed must have a shutoff valve (although there is zero enforcement). They are also really convenient; all you need to do is turn on the valve, light it, and you are eating in just a few minutes! They are quite efficient on fuel, however, to carry gas under pressure, the empty fuel canister itself weighs 3.5 oz.! Also, these canisters are usually only sold in outdoor retail stores, are pricey, can only be shipped via ground, are not supposed to be thrown in the garbage (they can be recycled if you can safely puncture them), and it is hard to know how much fuel is in them. My canister fuel kit weighs about 7.8 oz. in total (including that empty canister). The fuel itself needed per night weighs about 1/3 oz. (although, it should be noted that because it is hard to know how much fuel is in the canister, most people usually end up carrying far more fuel than needed and possibly even another canister, which weighs 7 oz. full). Wood stoves are lightweight, there is no fuel-weight penalty, and they kinda make you feel like a badass cavewoman. The downsides are that they are difficult (not impossible) to do in a completely LNT-manner, they require fairly dry tinder to work at all, they take some time (to collect materials, start the fire, and then to bring water to a boil), they cover your cook pot (and hands) in black soot, and everything you wear after cooking with one will smell strongly like wood smoke. My wood burging kit weighs 5 oz. The fuel weighs nothing, as you burn sticks, pine cones, and dry grass that you find when you stop for dinner. These numbers include the weight of the dinners (no other meals or snacks), fuel needed for all of the dinners, plus the cook kit from above. A traditional non-cook dinner weighs about 6-7 oz. per meal for the food itself. So, dinners for a 4-day resupply (3 dinners) would add up to 18-21 oz. However, on the day walking into a resupply, non-cook will weigh nothing. 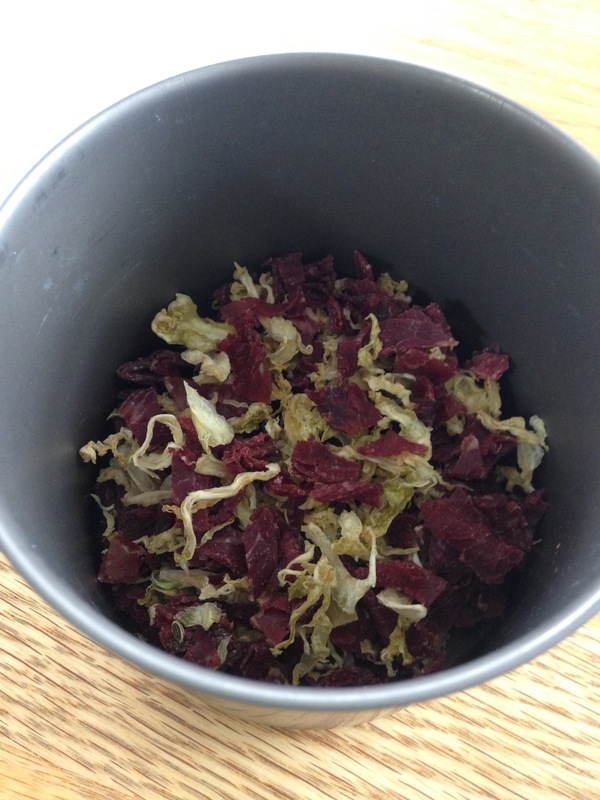 Dehydrated or freeze-dried food weighs about 4-5 oz. per dinner for the equivalent calories. So, on a 4-day resupply—dinners plus a solid fuel cook kit—will weigh about 17-20 oz. On the way into town, it will still weigh 3.6 oz. Again, using dehydrated food, on a 4-day resupply, the alcohol method weighs 18-21 oz. with dinners. On the last day, it will weigh 4 oz. On a 4-day resupply (assuming you can find dry materials to burn) this kit + dinners will weigh 17-20 oz. On the way into town, it will weigh 5 oz. As you can see, cooking and non-cook end up being pretty close in weight for a 4-day resupply. Choosing non-cook for resupplies lasting longer than 4 days will end up being quite a bit heavier than if you cook with almost any method (although 4 days is pretty typical on the triple crown trails). 1. You can have hot coffee. 2. A hot meal at the end of the day can be a real morale boost; you can feel more like you are eating “real” food. 3. A hot meal can warm you up on a cold day. 4. A warm meal is more easily digested. 5. There is more potential for variety. 6. In an emergency, you can boil water for heat or water purification. As I alluded to above, there is actually one way you can make no-cook the lightest choice all of the time. 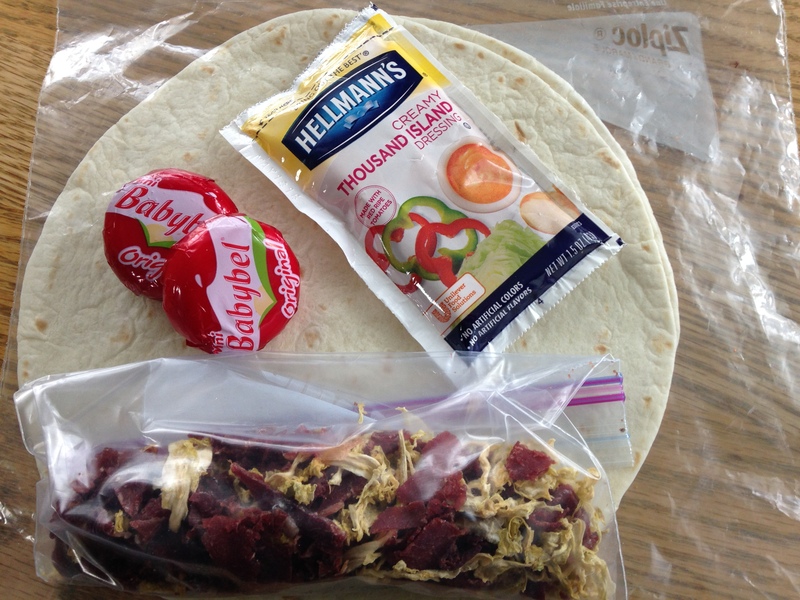 Instead of eating bars and nut butters, tortillas and trail mix, you can “cold soak” dehydrated food. In this strategy, you take dehydrated or freeze-dried dinners (the same as if you were cooking) and add cold water instead of hot, allowing the food to rehydrate over 30 minutes to 2 hours. Therefore, your food is as light as possible, but you will not have any of the weight of a cook setup. A 4-day resupply would only weigh a cold-soaker 12-15 oz. ** Weight is the obvious advantage. The downside is the food: can you stand to eat cold mashed potatoes or mac n’ cheese? **Although you can just rely on [lighter and more compact] freezer bags for cold soaking, many people who choose this method use a small plastic container (peanut butter or gelato) to soak their food. This way, they can add water to their food, secure the leakproof lid, throw it back in their pack, and walk for the last few miles while it rehydrates. Hopefully, by the time they get to camp, it is ready. 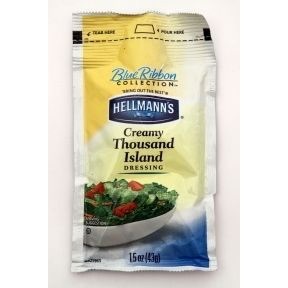 These containers usually weight about 2 oz., but you are still only looking at 14-17 oz. for a 4-day resupply. If you just completed your first through hike, the feelings that you are going through right now are very intense and difficult to articulate. To this day, 9 years after my first thru hike, I still can’t fully wrap my mind around it all–the origin or the solution. The good news is, I have (mostly) recovered, and on each successful hike, I have learned to deal with it much better. So will you! 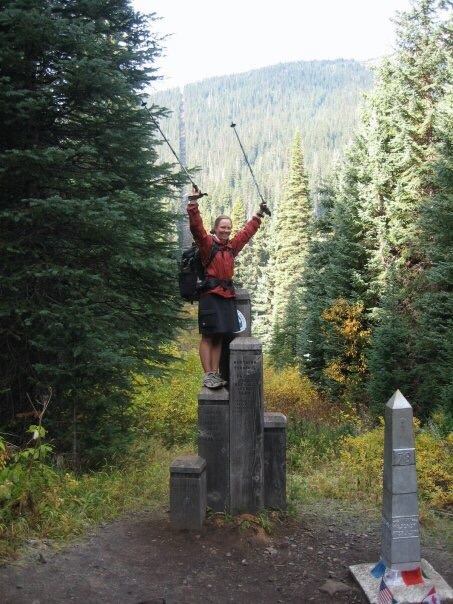 When I got to the end of the PCT, I was very ready to be done. I had had an amazing adventure, met some of the best people on the planet, and became the person I always wanted to be. I had the confidence to do anything, walk up to any person, try any new thing without fear of failure. I was strong as steel. I could hike 3 miles an hour straight up a mountain non-stop and carry on a conversation. I was was forever changed–a new person who would never settle for mediocrity, yet life would forever be more simple. But, I was also very unhappy. I couldn’t shake the gray cloud. There were many times in the first few months that I would just start crying for no specific reason. I would look up at the mountains with a longing more than just a desire to be in the trees. I missed my trail family, and they are the only ones who understood what I was going through. Things around me–sinks, toilets, cars, lights, television, beds–felt so foreign. They were nice, but I felt like a small child learning how to use them again. I couldn’t talk to people. I spoke a new language. I barely recognized the people I loved and I didn’t know what to talk about with them. How long had I been gone for (it seemed like years)? Now, I had to go back to work, find a home, and start a routine that seemed completely pointless. Since then, I have talked to others and discovered that this is a natural and normal feeling to have. Some hikers call this feeling “post-hike depression”. And, we sometimes refer to this period after hiking as “re-entry”, as if you were a released prisoner readjusting to society. Still having a hard time reconciling my feelings, I reached out to some other thru hikers on the matter. Mandy “Purple Rain” Bland, creator of Purple Rain Adventure Skirts (http://www.purplerainskirts.com/) what her experience was and how she dealt with it. “I was pretty eager to be finished with my thru-hike but quickly experienced a disconnect with friends/family. People were gushing over what I had just accomplished while I remained humbled by my experience not wanting to wooo everyone with stories of trail. I longed for greater depth and meaning in my relationships. The real world seemed so superficial. When I finished the AT, I had no idea a hiking community existed. Meeting folks from ALDHA West and being welcomed into the hiking community has been so great for me both personally and professionally. Starting PR Skirts has allowed me to stay connected to trail and I have never felt so fulfilled by my work. “After every hike I have a transition period between trail life and front country life that is always a bit awkward…I finish trails full of hope, with a list of good deeds and “to do’s” that is miles long. Then I collapse on the nearest couch and sleep. When I wake & take a shower I look in the mirror and see normalcy looking back…I struggle with where to put myself, what to fill my days with, how to get everything, or at least something on my to do list done. I feel horrible for not accomplishing any of my goals… And it just cycles around like that until I find some type of off season structure or head off to work. It seems that whatever the cause, that the depression does subside and that most hikers find some strength in setting their mind on their next goal in life. Also, if you don’t already have a Hikertrash meetup group in your town, put one together. Misery loves company. What happens if the trail changes you so much that your goals are now in question? My friend, welcome to the group of thru hikers who become repeat offenders. See you on a trail. The word “gourmet” is relative. Especially when it comes to long distance backpacking. As a foodie and a long distance backpacker, I struggle to find a compromise. Here is a sampling of one of my recipes that takes a little extra time to make, but the reward is worth it! 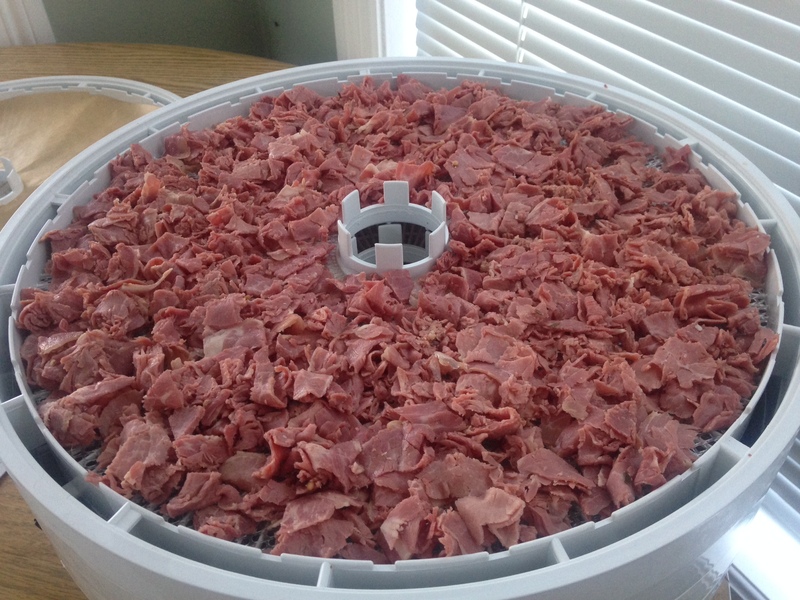 At home, slice the corned beef into small squares and place on a mesh tray in the food dehydrator. 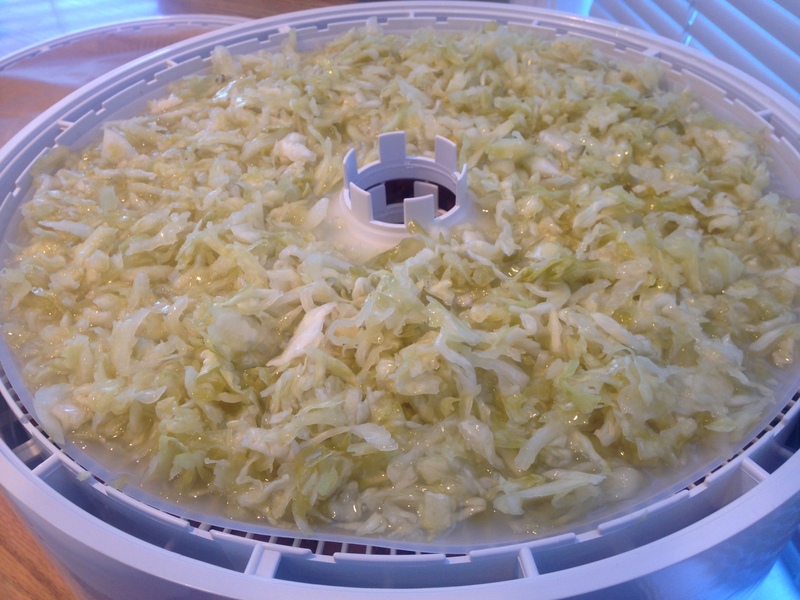 On the liquid tray in the dehydrator, spread your saurkraut. Dry both until no moisture remains. Place both items into a pint or quart ziplock. 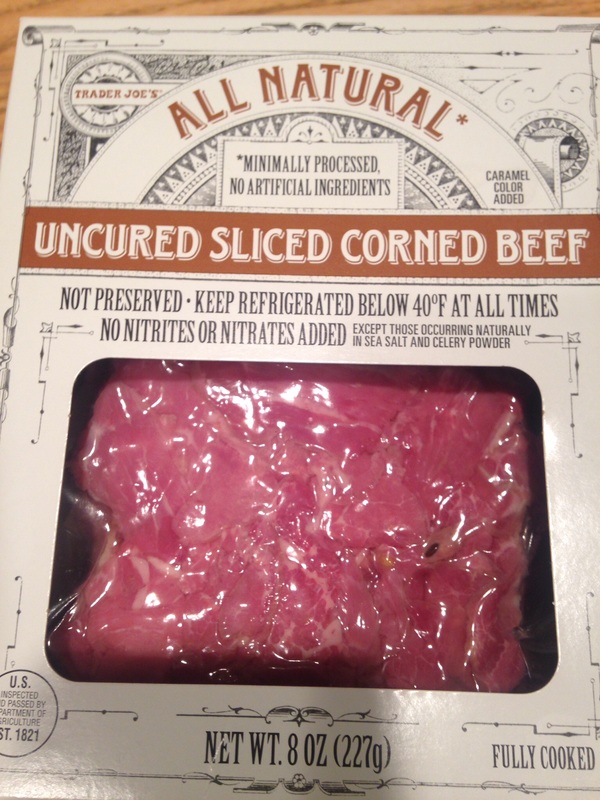 Place beef/kraut in cook pot and cover with water until it is mostly covered, but the top layer is exposed. Bring to a boil, then remove from heat (covered). Allow to soak about 10 minutes, stirring at least once, until beef is tender. Slice Babybel swiss into quarters or smaller and stir into mixture. Allow to melt. Scoop mixture onto a tortilla, rye bagel, or rye bread. Top with dressing. Enjoy! Shelf stable bacon would be an unnecessary, but lovely addition. 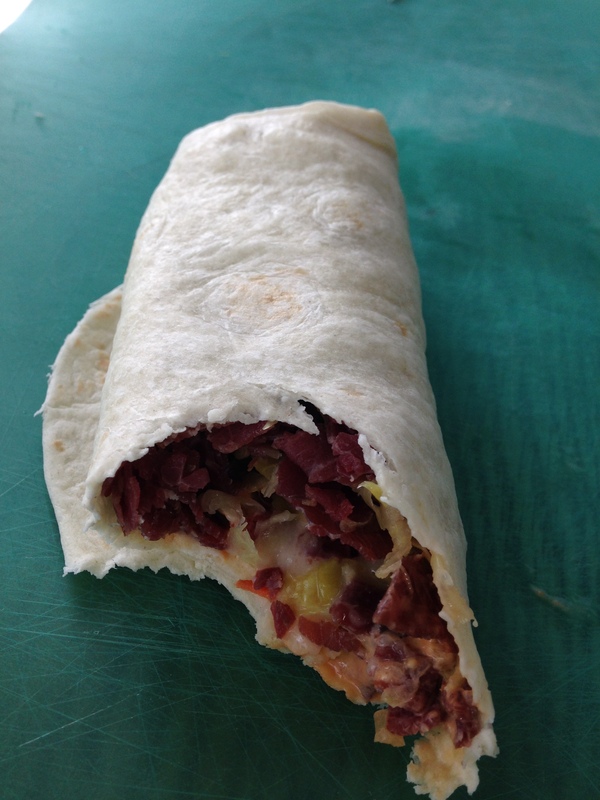 If you liked this idea, watch for other “Gourmet Trail Recipes” coming soon. No way you would put this much work into trail food? Watch for upcoming articles entitled “Favorite Easy Trail Recipes”. There are a lot of really good reasons to call it quits on a long distance trail before you have reached your ultimate goal: lonliness, homesickness, sickness, injury, family issues, finances, snow, fire, etc. Of the 12 long distance trails I have attmepted, I have actually only finished every mile of 6. Each time I had to quit, I felt like I lost a little piece of my soul. No matter how lonely, painful, or sick I was, it was a really tough call. My best hiking partner, d=rt, says that at the moment you take your first step on the trail, half of the work is already done. You have made a lot of sacrifices. You may have put hundreds of hours into planning and hundreds of dollars into gear, food, and plane tickets. You (miraculously) convinced your boss to let you take 1-5+ months off. Or, you may have even QUIT YOUR JOB!! You may have moved out of your housing and put all of your stuff in storage. Now, the thought of groveling for your job, throwing all of that money away, and perhaps even letting people who told you you couldn’t do it be able to say that they were right. Ugh.You were committed, but something unplanned happened. Now, your hiking partner(s) are moving on without you (and you were out long enough to realize that those people are your FAMILY). 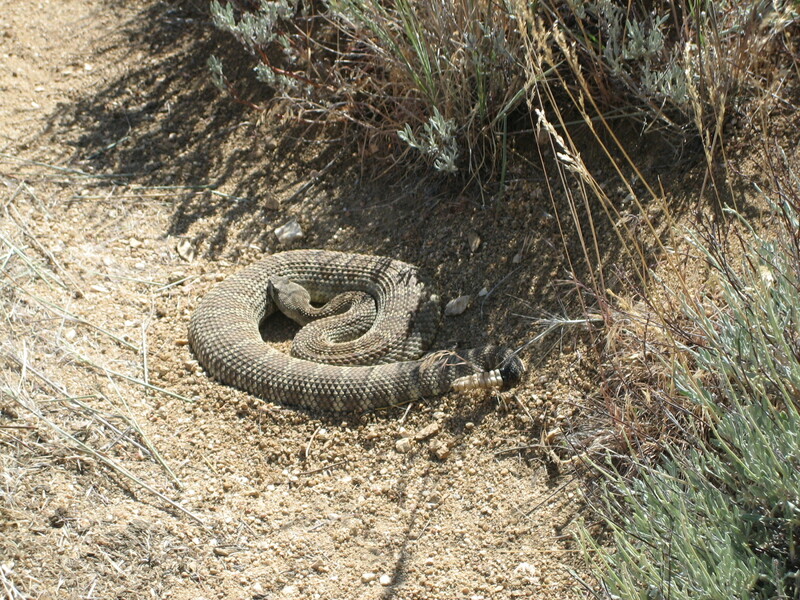 Your hike is over! Not only do you now have to deal with the phenomenon of “post hike depression” (which I’ll write about too), but now you have to deal with failure, lonliness, and maybe even a sense of betrayal (did you not discuss with your hiking partner(s) what would happen if you couldn’t go on?). Here are some things that I–an EXPERT in trail failure–do to help myself get past it. First, if you are reading this before you have even left for your long hike, great! Statistically, let’s face it and be super honest here: There is a decent chance you won’t finish. I don’t know what percentage of people finish various trails, but I am guessing it is less than 50%. Being prepared for that eventuality is very helpful. It may not even cross your mind, but just knowing (and accepting) that this is a possibility is a healthy way to be. Obviously, commit to the trail and do everything you can do to stick to it! But, if you have to quit, know that it is not a character flaw. Try to be okay with it. Another thing you can do BEFORE you have to call it is to talk to your trail buddies/partner and discuss what your expectations are. Will they still go on without you or vice versa if one of you has to quit? Remember, they made a lot of sacrifices too. Support them unless they don’t want to do it without you. And remember, it doesn’t mean they don’t love you if they keep going. Don’t forget: it will be hard on them too, especially if it is a significant other or if you shared gear. And one other pre-hike plan is to have a rough backup plan. You have all of this time off, take advantage of it and do something that helps you feel good. Like: rent a horse and do it anyway, hike a different trail (if the circumstances don’t apply there), trail angel with your time, or support or slack pack a hiker or two who are still out there. It will help you stay in touch with the experience instead of ripping you straight back into society. If that isn’t an option, you can just plan to sightsee in the part of the country/world in which you were hiking. You are already there. Take advantage of it! Here are some ways to deal with it (of course, it depends on the reasoning) at the time you have to make the call. 1. Decide NOT to quit–yet! Take 1, 2, 3 days, a week off. Go home if you need to. Remember, you probably will regret it if you quit (even if it is the right call). Do everything you can to prolong that last call. Re-evaluate everything. Is there something you can do to make the situation better? Maybe you accept that you can’t do every mile, but you can go slower and stay out for the whole time. 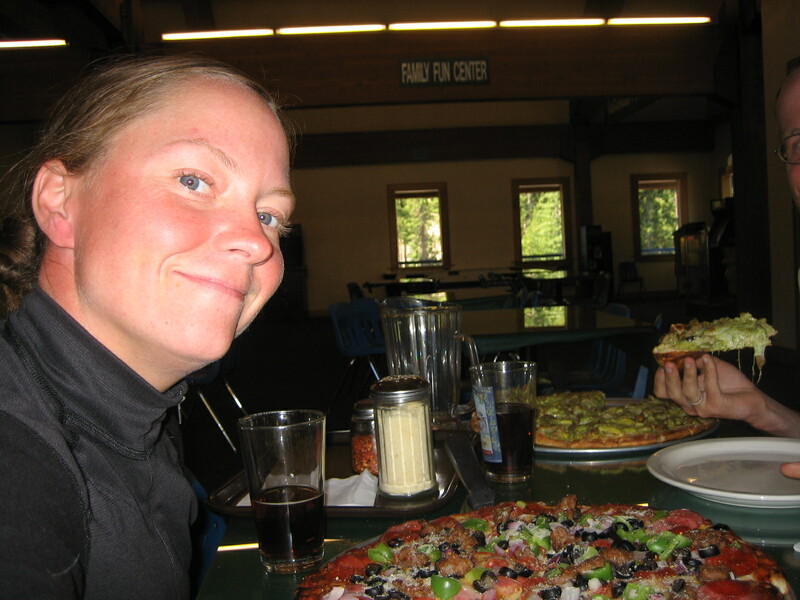 In 2006, I was 100% decided I wanted to go home from the PCT at about mile 1600. I waited it out for 3 days and talked to other hikers. I set a new realistic goal and I kept going and finished the trail. 2. Plan something else fun with your time off. 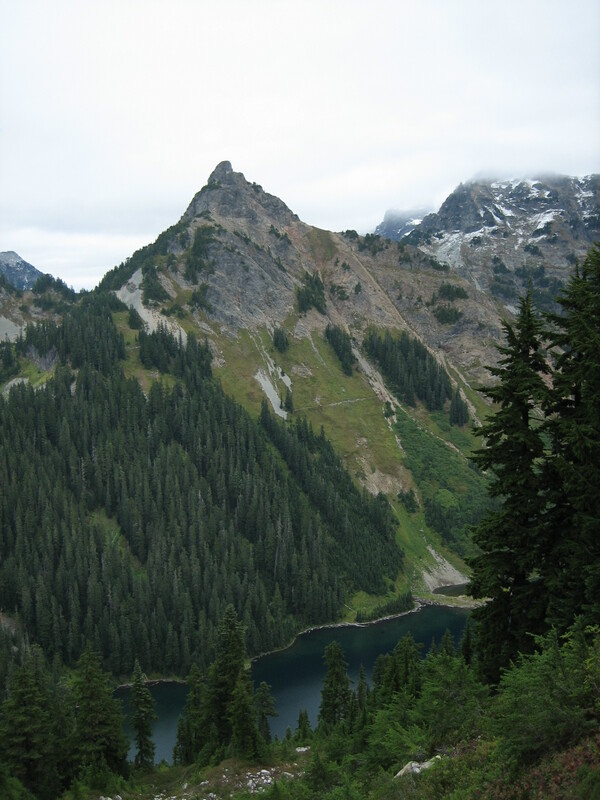 Maybe a shorter or lower elevation hike. Maybe you can paddle or cycle instead of hike? Maybe just a legitimate vacation full of margaritas and golf. Whatever. 3. Start planning your next adventure. If you can’t keep going, or even modify your trip, spend your energy setting a new goal instead of dwelling on the “failure” of your first goal. Maybe going home and working long hours is energy well spent so you can save up for something else. 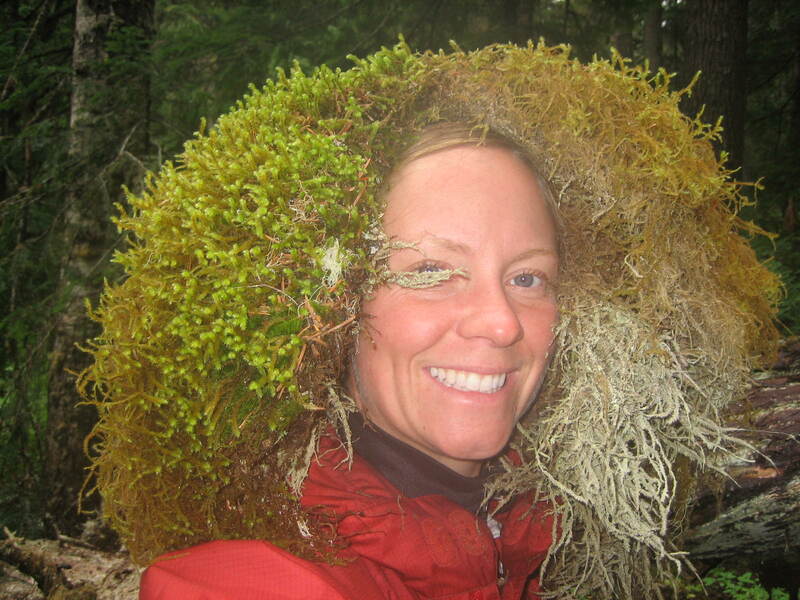 Maybe long distance hiking isn’t for you at all? That’s okay! What will you try next? Having a new goal will help ease the pain of this setback. So, to summarize: in preparing to hike a long distance trail, also understand that there is a real possibility that life will interfere with your plans and you may have to alter them. Have a backup plan and talk with your hiking partner about your expectations. It will probably break your heart, but you will survive. Try to make something else good of it. If you are reading this and you had to quit a trail this year, reply below and let me know how it affected you and what you did to overcome your disappointment. Best of luck on your reintegration into “real” life. It’s been a while since I have written. It’s been crunch time! 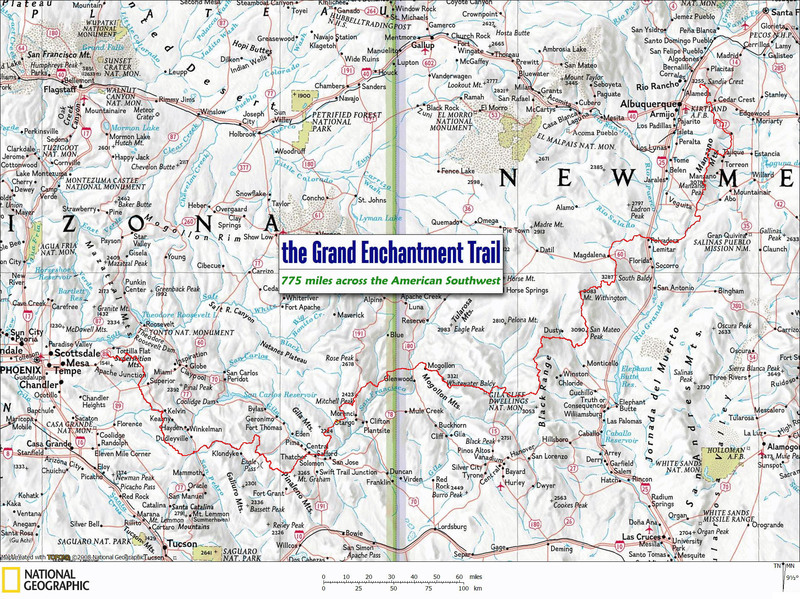 I’m about to set out on another long distance trail, the Grand Enchantment Trail. I’ll be back at the end of May! PCT For The Newbie: Shakedown! So, you have done a bunch of backpacking, but now you are thinking of a really long distance hike. Woo hoo! It’s pretty easy to figure out what gear you need. But, one of the easiest ways to save yourself weight and money is actually NOT BRINGING certain gear that you are used to bringing. Unlike traditional backpacking, on a thru hike, it is going to be even more important to get your pack weight down. If you are hiking the PCT, you will be walking 8-12 hours a day (possibly carrying as much as 25-30 pounds of food and water for some stretches). Because of that, the amount of time you will have to sit in camp and entertain yourself will be more limited. To a newbie to thru hiking, this may sound disgusting, but most people (not all) end up dropping the soap after only a couple hundred miles. First, if you hike northbound, you will soon learn that you will not have much water. When you are already carrying 6 liters of water, do you really want to add another half liter just for bathing? Next, it’s almost impossible to keep the dirt off; it’s a losing battle. You may clean your feet and legs at the end of the day, but they will be nearly as dirty within 30 minutes of hiking the next day. Also, biodegradable or not, soap should not be used near any surface water. To do it properly is quite a hassle and you will likely decide it is not worth the effort after a hard day of hiking. Finally, you may come to love your trail dust. You will find that you will not have to apply sunblock to your legs! A lightweight alternative for cleaning up is the Wet Ones towelettes. I get the sensitive skin ones so that I can clean up my sensitive parts every other day or so. You just don’t need one here. Trust me. Yes, you are likely going to smell worse than you have EVER smelled in your life. But, here is the thing: no deodorant will help you with that! If you manage to carry that heavy deodorant stick without it melting and/or leaking all over your pack, you will have to apply it about once an hour to stay on top of your stench. And, after a week out, it won’t be your pits that stink. It will be your shirt. And your shoes. And your pack. It will be all of you! The odd thing is that after a couple hundred miles, your nose will change and you will find yourself being far more offended by the strong, synthetic smells of soap, deodorant, and perfumes than you will be of stinky hikers. You will smell day hikers from a quarter mile away. You aren’t going to want that deodorant. I started the PCT with a small book of Sudoku puzzles. It weighed little, and I told myself it would be fun on breaks. A former thru hiker told me I would never have time for them, and she was right. I never even opened it! 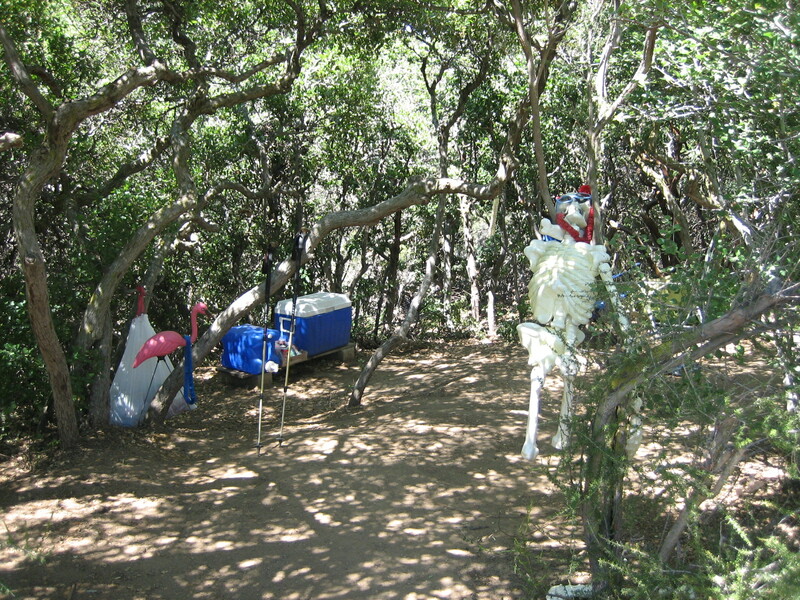 I ended up stashing it in my bounce bucket for later down the trail, but I never once fetched it out. When you stop for a break, or stop for the day, there is a lot to do with limited energy. You will be meeting people, stuffing your face with food, looking at maps to find the next water, reading the trail description for the following day, writing in your journal, finding a campsite away from the crowd, and probably climbing into bed before the sun is even completely below the horizon. Save that weight for more Snickers bars. I will carry really light flip flops for camp on occasion, but I have seen very few thru hikers carrying a completely extra pair of shoes. If your feet hurt so bad in the footwear that you walked in all day, they probably don’t fit right. If your shoes take too long to dry after a stream crossing, they probably aren’t going to feel good to hike in long-term either. Get lightweight, breathable shoes in the first place, and you won’t need a second pair. Of course, there are exceptions. Bandaids are one example of the many things you can make with your duct tape! Blister prevention, sleeping pad/bag repairs, butterfly bandages, regular bandaids, etc. The list can go on and on. I used to carry a pillow backpacking–until I started long-distance hiking. Now, I just take one of my stuff sacks or my down jacket and stuff it with all of the extra stuff sacks and clothing items that I am not using. I find it more comfortable than any of the pillows on the market anyway. Don’t want to hike in dirty clothes? Well, you shouldn’t long-distance hike then! In all seriousness, though, maybe carry one extra pair of underwear and 1-2 extra pairs of socks. The rest will smell terrible very soon anyway. It won’t be worth carrying it. I carry a long underwear top, bottom, and one pair of socks that I only wear when I am not hiking (or in an emergency). Those are what make up my sleepwear kit so that I can keep my sleeping bag clean. I have a lightweight down jacket, a beanie, and thin gloves, that keep me warm when I am stopped (or in my sleeping bag on cold nights). I carry a rain coat and pants, which I often throw on in camp to stay warm. And, I carry at least one more pair of socks (a total of 3 pair) that I will rinse and hang off of my pack to dry. That way, when I get a hole in one, I have a backup. Besides my hiking skirt, shirt, and skivvies, that is all I bring. The thing is, that you can always add luxury items to your pack if you decide you really want them. You may want to see how you do with the load of essentials before you make that call. So, by now you have probably figured out that long distance hiking is a completely different sport than backpacking. 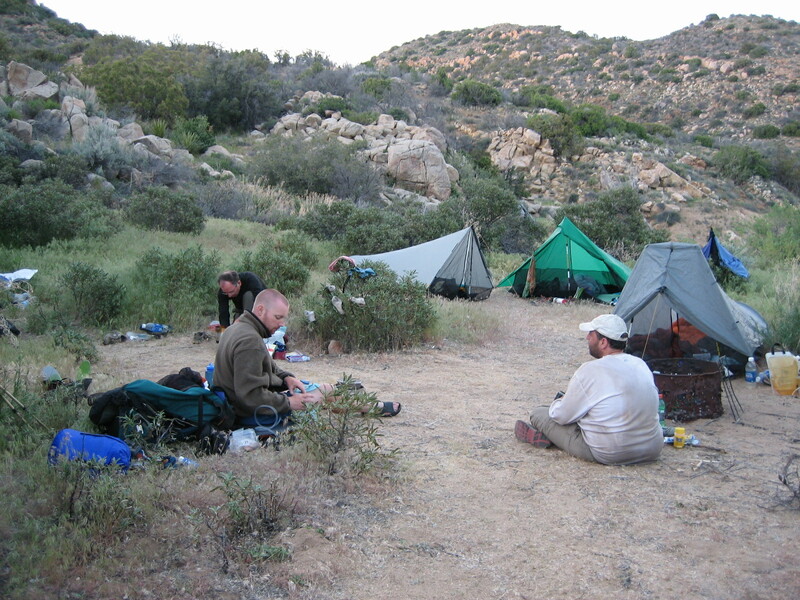 You will be hiking 8-12 hours a day, spending little (awake) time in camp, and spending a good portion of any leftover mental energy on how to get water, food, and to your next resupply. Likely, a change of strategies will be necessary if you have been backpacking for a while. Not enough/the wrong kind of planning seems to be the number one reason people spend way too much money on their first long distance hike. Getting the wrong gear or not having the right planning materials can lead to costly mid-hike gear or strategy switch ups–or worse, injury! Do the work up front, and you may save yourself a lot of anguish on your hike! Of course, there are as many ways to hike the PCT as there are people hiking it, none of which are wrong. However, if you are open to it, there are people who have hiked before you who have done a LOT of legwork figuring out maps, resupply strategies, and gear. It will make the whole journey a lot easier to benefit from their mistakes and triumphs. So, here what I would purchase/do/bring if I was going to hike the PCT again next year. There are lots of resources out there for the PCT. The ones that I find most useful are: Yogi’s PCT Handbook , Halfmile’s Maps (you can now buy them together, with the maps printed on an industrial printer, for way cheaper than you can do on your own) and the Water Report. Yogi’s handbook has about everything you need to know to hike the PCT in it. 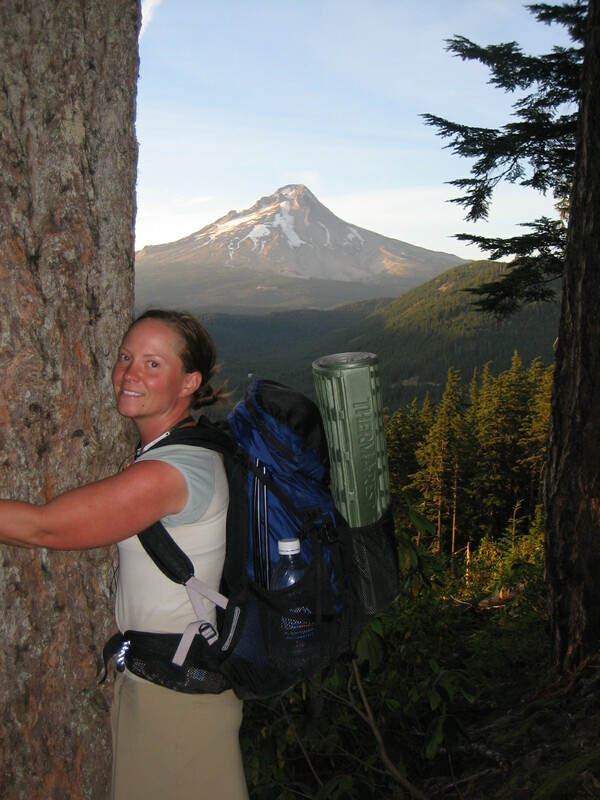 She compiles the knowledge that she has gained hiking the PCT numerous times, as well as the opinions and feedback of many other past hikers. It has two sections. 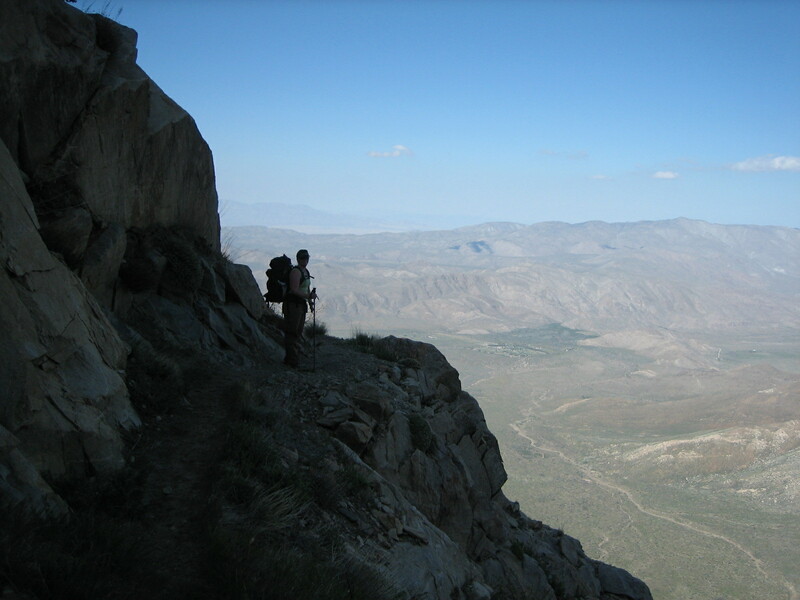 One section is for planning your hike and includes everything you need from gear selection, start dates, long distance hiking philosophies, and all of the names, addresses and phone numbers of anyone who may be able to help you on or before your hike. The other section is meant to carry with you on-trail and it will help you find water sources, figure out awkward trail junctions, and navigate through trail towns to find showers, hiker-friendly restaurants, the Post Office, affordable lodging, stove fuel, and the best grocery stores. Halfmile’s maps are a complete mapset of the PCT, with additional information in the margins about water, campsites, trail junctions, interesting facts, etiquette, trail angels, resupply, and more. They are just the right scale to be able to navigate by, but they are also broad enough that if you had to bail out on a road in an emergency you could use them to do that. Please carry a set of paper maps and do not rely solely on your phone (and it’s battery life). The PCT is easily navigated, but every year someone goes missing and it is preventable. 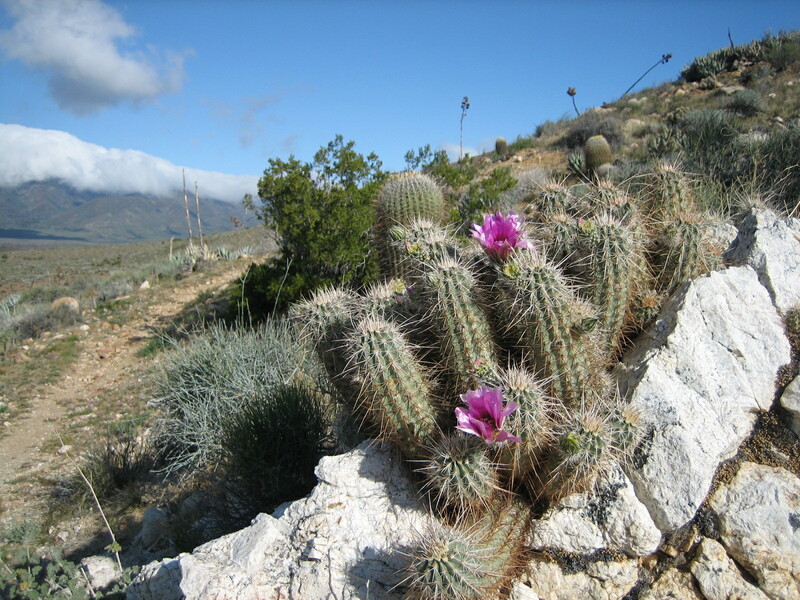 The Water Report is a constantly updated list of water sources in the desert to help you determine the reliability of water during the time you are hiking through. It is a helpful publication, but is probably going to be obsolete with this years’ versions of the smartphone apps. If it were me, I would still at least cache it on my phone (or print a copy at a library) each time I could between Campo and Kennedy Meadows, especially if this year ends up being a dry one. Those three items provide all of the info that is necessary to get you safely on the your thru hike of the PCT. Other items that may make your life easier (and don’t weigh any more) are: Halfmile’s App and Guthook’s App. I used to carry: The Schaffer guides, the PCT Data Book, and the Town Guide. Most hikers I have talked to these days think these books are heavy, antiquated, and replaced by the above-mentioned guides and apps. I would likely not carry them again. If you climb Mt. Whitney from the PCT and return via the PCT, you do not need anything extra to add Mt. Whitney to your hike. But, if you go down Whitney Portal from Whitney, you need a Whitney Permit. Another way long distance hiking is different from thru hiking is that you can’t possibly carry all of the consumables you need for the whole trail in your pack at one time. Food alone, at 2lbs. per day, would weigh about 300 lbs! You are going to want to resupply your food, fuel, TP, sunblock, hand sanitizer, batteries, even the next portion of your guides, at regular intervals along the trail. Luckily, the PCT crosses roads at fairly regular intervals (and roads lead to towns!). Depending on how fast you hike, you will come to a road with a decent resupply every 2-10 days. There are 2 ways to resupply, both has pros and cons. You are going to town already (all resupply strategies include towns unless you are supported and even then you are going to want to go to town for a hot meal). You don’t have to worry about items being lost in the mail. You don’t have to adjust your hiking to account for post office hours of operation. It may be cheaper than mailing boxes ahead. You can buy whatever food sounds good to you at the time (trust me, your tastes and needs are likely to change). If, for some reason, you can’t complete your hike (be realistic, the attrition rate is about 50%), you will not have wasted a bunch of money on food (and you probably aren’t going to want to eat it at home). You are limited to what the town has, and some “towns” have little more than a gas station. You may have to visit several stores within a town to get all of the items you want. Shopping is an added stress when getting into town. You can mail whatever you want to yourself and not be limited to what the town has. You don’t have to stress about running all around town to resupply when you get there. You can enjoy your time there! You are dependent on getting to the place that is holding your box during their business hours. With the Post Office, these can be limited. If your box is lost in the mail, or arrives behind your schedule, it can cause you some stress. Shipping costs can sometimes be high, which can be frustrating when you get to a town that sells all of the things you mailed yourself. You may not feel like the food you sent yourself at the time you get it. If you choose to depend on maildrops exclusively for your resupply, please, for the love of all things holy, make sure to mail yourself variety. I have seen many people make the mistake of sending the same crap in every box. And, while I like taking their food out of the hiker boxes when they give it away, I do feel bad for them having spent so much effort and money sending food they could no longer stomach. A version of the maildrop strategy is the bounce bucket. A bounce bucket or box is a container that you mail ahead of you and, when you reach a town, you pick it up from the post office, collect items from it, and then mail it ahead of you again. Some people actually use a 5 gallon bucket because it is durable and easy for the postal employees to find on the shelf (with two hundred other hiker boxes). Some items people put in bounce buckets/boxes are: backup socks, stakes, ground sheets, pack liners, sporks, or other items that are likely to wear out or break. Also, some people include items for town stops like: a change of clothes, laundry detergent, razors, toenail clippers, hairbrushes, or a phone charger. Also, items that you don’t want to buy a whole box of in every town, or are hard to find in some towns like: small sunblock, mini Body Glide, ziplock bags, weird-sized batteries, dried veggies or meats, or a favorite drink mix. You may already have been backpacking for a long time. That gear will work, but some of it will not be ideal. Because you are going to be spending all of your free time walking, rather than hanging out at a lake, you are going to want to finally get really serious about lightening up your pack. A big part of that can be paring down items that you will not need on this hike, some of which may not be intuitive. In a seemingly stark contrast to lightening up, you are going to want gear that will last for 5 months. If you are used to shopping in a store for your gear, you may think that the lighter the weight the gear is, the more it costs and the less durable it is. Before you start to have a panic attack, let me tell you this: With the exception of two gear items, the gear that is ideal for long distance hiking is actually cheaper than that used for mainstream backpacking. I’m not kidding! I will have several articles on gear selection over the next month. But, in the meantime, Yogi’s guide discusses this in detail and I highly recommend you read her book before making any major gear purchases. It may not change what you buy, but at least you will know what is out there before you see it on the trail (and covet it). Planning seem overwhelming? Maybe knowing this will help: Once your planning is complete, your work to hike the PCT is halfway done! If any of these terms are new to you, please refer to my Thru Hiking Glossary. So, you’ve decided you are going to hike the PCT! Woo hoo! Congratulations. The next step is announcing it. If you haven’t already, be warned. It may not be the enthusiastic response you are hoping for. “Through-hiking to me is just the logical next step in my progression as a backpacker and in improving on my self…The reactions that I have gotten from people when I tell them that I am going to hike 2,655+ miles from Mexico to Canada have varied from every side of the spectrum, from jealousy, to utter respect, to contempt. But they have all been emotional. That, to me, was very interesting. Why do some people get angry and feel the need to tell me that I am a fool, and why are others brought to tears? Even total strangers who have no investment in my well-being seem to care very strongly one way or another. I have been analyzing that, and (I think) it brought me to an interesting observation about our society. I think people have been reacting emotionally to my plan to give all of my comforts up and hike for 5 months because it goes against what we have been taught. Those who are angry truly believe that that concept is correct, and therefore, they believe, I am going to ruin my life. And those who react with tears of envy may deep down believe that I just may find my success in this other paradigm. Since then, I have discovered the source of all the negative backlash can be summarized in one word: fear. People fear those things that they don’t understand–and not very many people understand what long distance hiking entails! The actual risk of serious injury or death while hiking a Natural Scenic Trail during the hiking season is extremely minimal. But, instead of focusing on the logical risks we assume every day (heart disease, car accidents, etc), your family will likely focus on highly unlikely events that could happen to you: lightning strikes, bear and mountain lion attacks, etc. They will next quiz you: Will you carry a gun? What if you break your back? What if you get stopped by a band of skinhead gypsies out looking for a human sacrifice? The questions that seem so legitimate to the questioners may sound ridiculous. Yes, there are risks, just like in everyday life. Freak accidents also happen. Just as they do in everyday life. At least on a long trail like the PCT, there are hundreds of thoughtful, like-minded people out there watching out for each other–all following a narrow tread of soil. In 2006, there were far fewer people on the trail than you are likely to encounter. We knew who was hiking ahead of us by the tread pattern of their shoes. One day, several hikers noticed that we could no longer see the tracks of a solo hiker named NEMO, a very competent and strong hiker. 2006 had been a difficult year for snow, river crossings, navigation, and wash outs and we were concerned that she may have made a wrong turn. We came up with a plan and covered various routes. But, the next day, NEMO returned to the PCT on her own, describing the beautiful alternate she had taken. Had she not returned at that moment, she probably would have had a 20-person search party of hikers out there to find her! So, how do you help people overcome their fear? Just like all fears, knowledge is power. The people who really care about you will be willing to learn. In turn, they will become less fearful of your adventure. What worked for me was showing my family and friends documentaries that teach about the PCT, like Tell it on the Mountain. Some family members even read my guidebook, Yogi’s PCT Handbook. The more they knew, the more logical their questions became. Fear turned to excitement for my journey. My grandma became on of my biggest supporters and it brought us even closer! So, good luck telling your family and continuing on with your planning. The good part is that after your second or third long trail, your family will stop trying to talk you out of it and instead ask you, “Where are you hiking this year?”. Thanks for reading and stay tuned for an upcoming post on “PCT for the Newbie: Planning”. 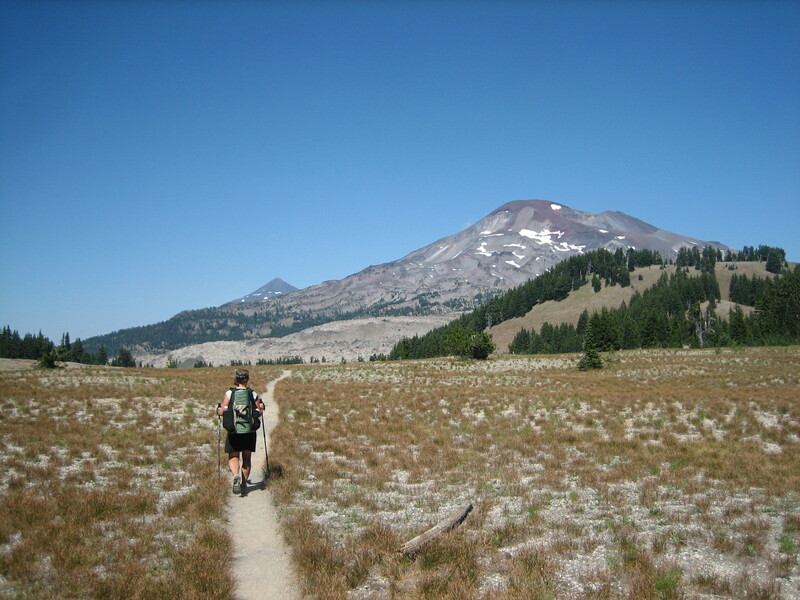 Here is what you can expect on a typical (but fictional) day on the Pacific Crest Trail. 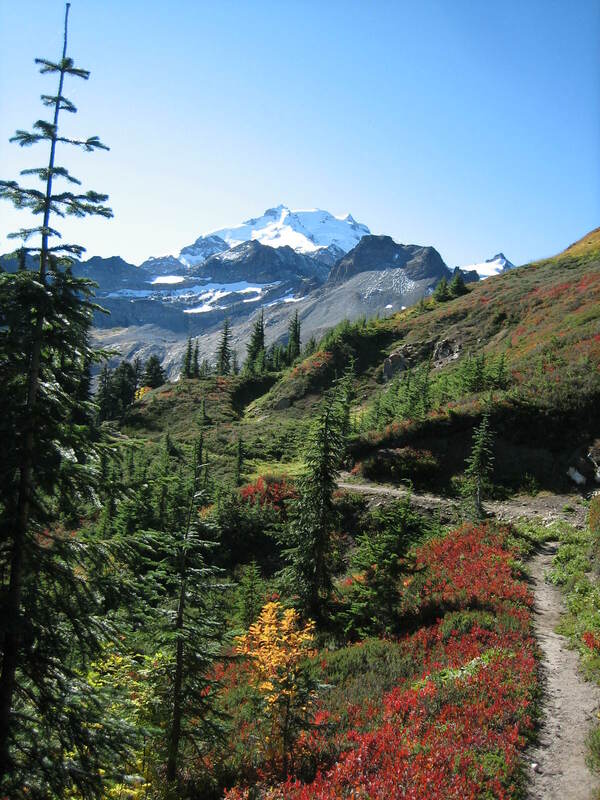 The Pacific Crest Trail is a 2,665 mile footpath (mostly well-maintained trail) that traverses the US from Mexico to Canada. As much as possible, it sticks to wilderness, avoids rural areas, and stays up high near the crest of the mountain ranges that run north-south through California, Oregon, and Washington states. There are very few shelters or hostels along the way and water will need to be collected from natural sources, so a thru hiker will need to carry everything that he or she needs with them at all times. Despite its attempt to stay up high, the PCT goes through many varied ecosystems, from desert, to swamp, to alpine, to grassland and more. As it is almost all wilderness, there are no built-in safeguards against falls, wild animals, dehydration, or exposure. The trail is generally well-marked, but map and compass skills are highly recommended. This is the obvious one. You will need to be able to carry 10-40 pounds, 8-12 hours per day, 6-7 days per week, for 15-24 weeks, straight. You will be walking on varied terrain, from sand, to hardpack trail, to granite, to mud, to snow, and occasionally pavement. On some days, you will be climbing over 5,000 feet in elevation. You will need to average about 18 miles per day. And, at some points on the PCT, you will be hiking at altitudes above 11,000 feet. If you haven’t thru hiked before (and perhaps even if you have), this is likely to be the biggest endurance event you have ever done. While there is no way to measure this figure, there is a saying on the trail that, “thru hiking is 90% mental” and almost no one argues it. I think what people mean when they say it is that: you expect to have to deal with cold, heat, soreness, injury, illness, weight loss, sunburn, blisters, poison oak, cactus spines, chafe, and any myriad other unpleasantness. But, sticking to the hike is a choice. Overcoming all of that physical discomfort and still wanting to continue up the trail can be a day to day (or even minute to minute) battle that follows you the whole way. You really have to want it to complete the whole trail in one season. It can be hiked north or south, but either way, the hiker needs to take into consideration the weather window within which he or she would like to hike. Most north bounders prefer to be in the desert before it gets too hot and dry, but don’t want to start so early that they make it to the high Sierra Nevada Mountains while people are still skiing at the resorts. 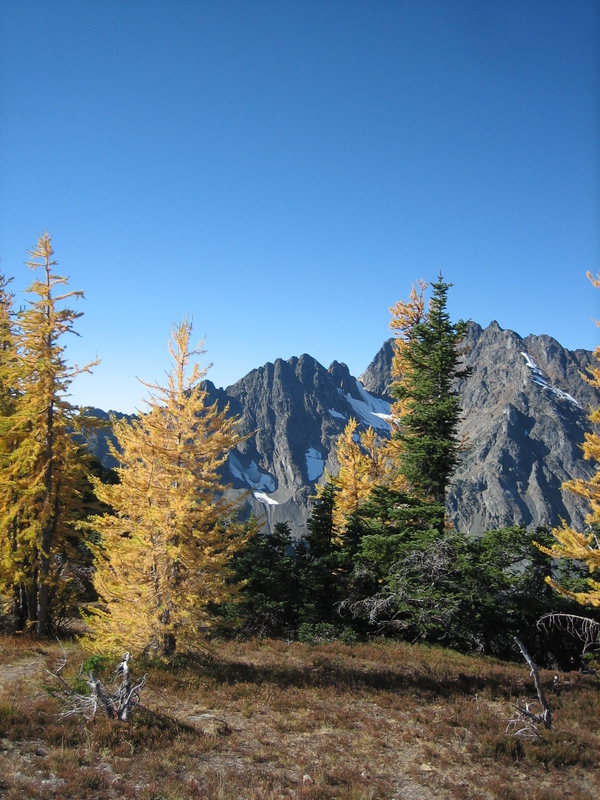 Also, most people like to finish the trail before the winter descends on northern Washington. This can begin as early as mid September, but usually starts to happen around the beginning of October. On a typical snow year, you are probably looking at about 5-5.5 months, from mid/late April through the end of September for a northbound hike. South bounders usually wait until winter loosens her grip on Washington. This usually happens around mid June. Note that actual start dates will be greatly affected by the snow pack that falls the previous winter, and the individual hiker’s ability and and affinity for traveling on snow. The most expensive part of long distance hiking is not having an income during that time. Money commitments during your hike (a mortgage, insurance, etc.) will greatly increase the amount of money you will need to have saved, and is not included in my calculation of cost here. Other variables will be: how often you have to make gear changes, how often you like to go into town, what towns you chose to go into, whether you eat at restaurants and stay in hotels along the way, how you choose to do your resupply (another blog on planning), how long it takes you to hike, and where your mode of transportation to and from the trail. Some people hike the whole trail as inexpensively as $3000, and I have heard of people spending over $10,000. I would say that it can be very comfortably hiked at about $1000 per month. You have probably concluded at this point that backpacking and long distance hiking are quite different sports. You will likely want this to translate to your gear selection as well. While much of it can be made to work, the average backpacking gear is not ideal for long distance hiking. Because you will be hiking 8-12 hours per day, your comfort focus will be more on your hiking time than in camp. What all this means is that you will probably want to get lighter gear and learn to live without certain in-camp items. (I will have many blog postings in the future that focus on gear selection and gear shake down). Some of the conditions I listed may sound very daunting, and indeed they are. On some years, the success rate of completing the PCT has probably been as low as 30%. But, if this post sounds negative, please re-read it knowing that is not at all what I intended. The above is just a list of the limiting factors you will want to consider before taking on the huge commitment of a thru hike of the PCT. There’s only 5 things! To me, these things are what makes thru hiking the most rewarding and life-changing thing I have ever done. If you are still intrigued, please watch for my upcoming PCT-related blogs, “A Typical Day”, and “PCT For The Newbie: Telling Your Family“, and “PCT For the Newbie: Planning”. Thanks!